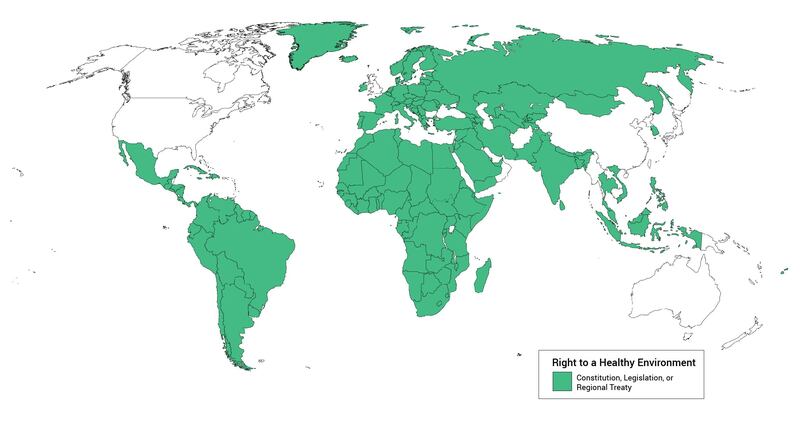 This brochure by the World Health Organizations gives a short overview of the impacts of the environment on human health. 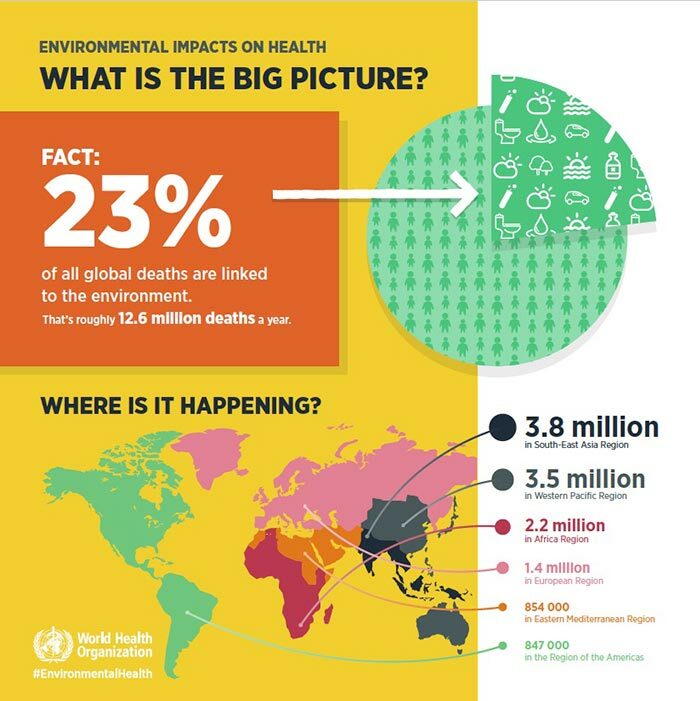 It states the major causes of death and describes how the environment affects people and whose health is impacted the most. 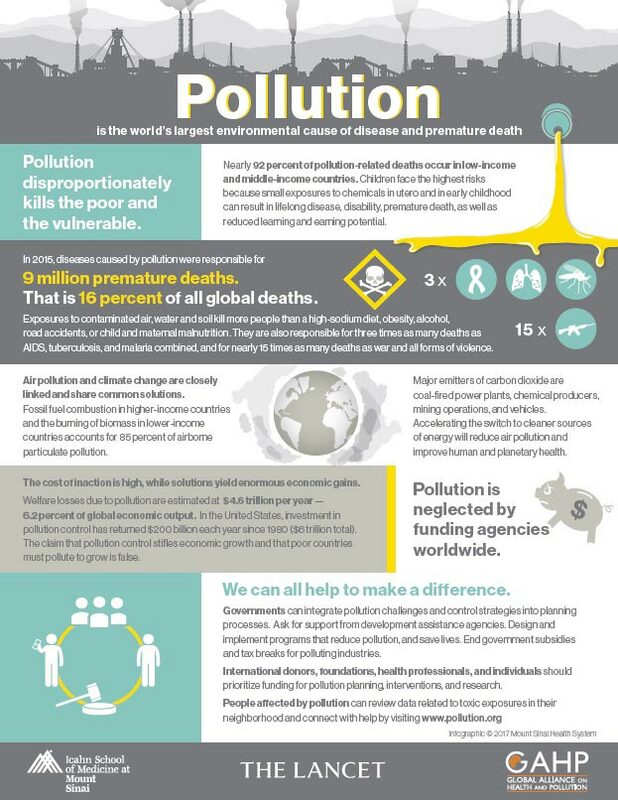 Nearly 92 percent of pollution-related deaths occur in low-income and middle-income countries. Children face the highest risks because small exposures to chemicals in utero and in early childhood can result in lifelong disease, disability, premature death, as well as reduced learning and earning potential.